On 23rd of January, Kakheti Regional Office hosted a moot exam in English languet in Kakheti. Before United National Exams, 12th graders tested their knowledge. 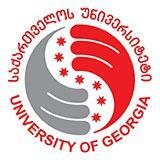 Test was prepared by the academic personnel of the University of Georgia.